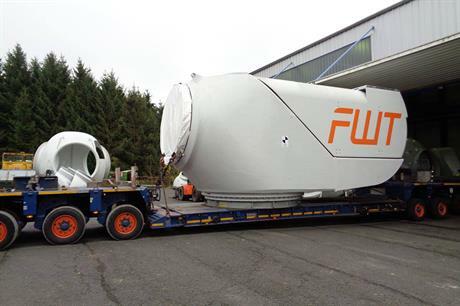 RUSSIA: FWT, the company that arose out of insolvent German turbine builder Fuhrländer, has won a deal to supply a 51MW project in Kalmykia, southern Russia. FWT will supply 20 2.55MW turbines to the site, with delivery expected by the end of 2016 and project completion in early 2017. It is the manufacturer's first order in Russia. The project is being developed by Alten, a subsidiary of Czech-based asset management firm Falkon Capital. The Priyutnenskaya VES 51MW development is the first private-investment wind farm in Russia to be built of industrial scale, FWT said. FWT said the 51MW site is the first phase of a proposed 300MW project. German firm Corporate Energies has signed a deal to become Alten's engineer, supervising the construction of the site. Russian power firms "buy manufacturing licenses"